Take Control of Your Brand and See Where Your Career Takes You! Are you waiting for your company to finally notice and appreciate what you have to offer? Are you tired of getting passed over for promotions, raises, or advancement opportunities? Do you feel stalled, stuck, or stifled by your current career? If you answered yes even once, the answer lies inside of you – and leadership coach Kimberly Faith’s Breakthru Branding™ will unleash your inner potential. What will the view be like from the driver’s seat of your career? 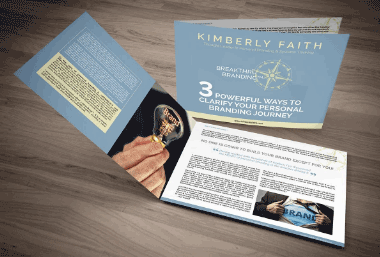 This is your opportunity to learn how to discover your personal leadership brand and take your career from mundane to magnetic with leadership coach Kimberly Faith’s Breakthru Branding™ course. If so, this is your opportunity to learn how to take your career and future from mundane to magnetic and memorable. By discovering your personal leadership brand with Breakthru Branding. 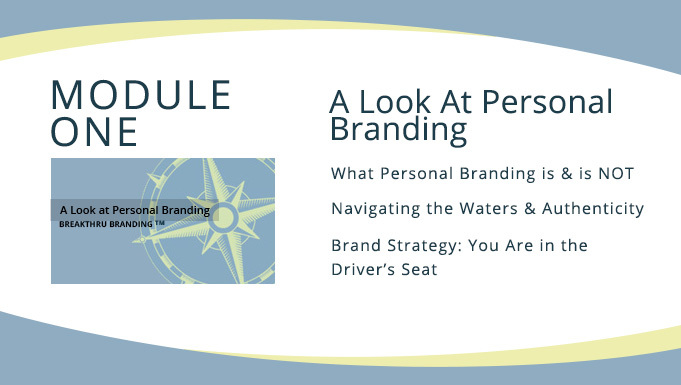 Full of step-by-step techniques, tools, and tips, this course provides you with everything you need to build a individual brand that will put you in the driver’s seat of your career. After training and coaching over 23,000 leaders from eighteen countries and in nineteen industries, Kim has found that the most effective path to following through on professional goals is to have a mentor, someone you’re personally accountable to. Breakthru Branding gives you that mentorship with me. Consider this course to be your comprehensive career GPS. 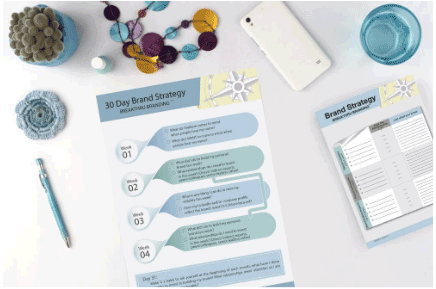 Both a journey of discovery and a road map to advancement, Breakthru Branding helps you articulate exactly you how you stand out as a leader and invites you to take the driver’s seat in advancing your career. “I’m so glad you are here, it means that you are actively seeking ways to strengthen your professional presence and the world loves people who take initiative. I am Kimberly Faith and I have had the privilege to train or coach over 23,000 leaders from hundreds of companies spanning 18 different countries and 21 industries, and Breakthru Branding™ was created as a direct result those experiences. “This course was invaluable to me as I was going through a career transition. I took a risk with a new career move and it did not go as planned. I needed inspiration to think about my brand differently. “I was great at my job but I was STUCK thinking like an individual contributor. Kim shifted my brand to executive leader. Now I am well respected and many want to work for me. “These insights are like physical therapy for your brand! I learned what muscles I had allowed to atrophy and she motivated me to get moving. 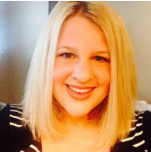 “I would not have had the CONFIDENCE to go after my dream job if I had not heard Kim’s wisdom. 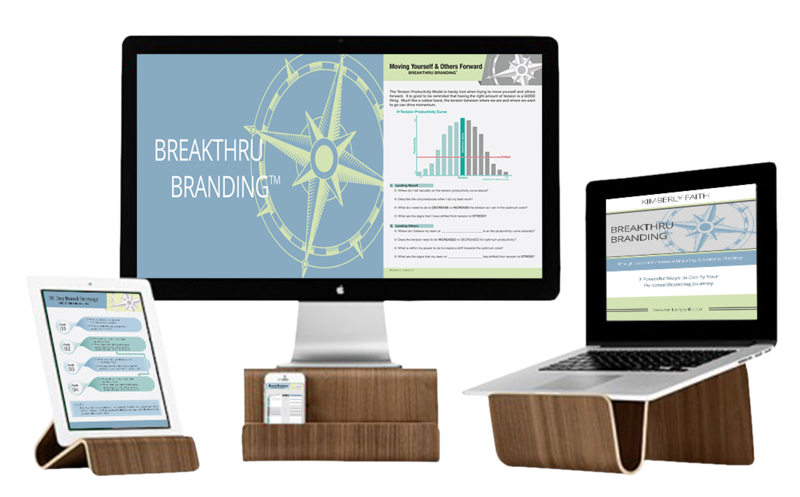 “One of the best things I learned from Kim & Breakthru Branding™ is to work through each step to get to the end state. Every missed opportunity has a cost associated with it. Do you know how much your undeveloped brand has cost you? If you’re just like many of the executives Kim has coached, you’ve worked hard, tried to play the game and hoped for the best. Doing so has maybe even gotten you somewhere you thought you wanted to be. But, like those executives, you’ve likely woken up at some point to realize you’re not feeling “it” anymore. Not feeling valued or appreciated; not feeling respected, listened to, challenged, or motivated. Maybe you’ve even felt threatened. The model of ignoring your personal brand and hoping the company will reward you for your hard work”at the right time” is a huge mistake – one that has likely cost you thousands if not hundreds of thousands of dollars. I recently coached an executive who complained it would take too much time and cost too much to invest in herself. When I asked her what the next level in her career was worth from a salary perspective she realized it would be an additional $50,000 – $70,000 per year. She also realized that that career move should have happened over two years ago. By not investing in herself she lost over $100,000! Now is the time to take control of where your brand is taking you. With Breakthru Branding™ you’ll finally be in the driver’s seat of your career. Module One begins your branding journey. You’ll learn what branding is and is not, and why the old view of personal branding is no longer relevant. That in fact, it’s almost dangerous because it is only one piece of the puzzle. You’ll take a deep and different look at authenticity. What does authenticity in action look like? Are you living with authenticity? Is it showing through my personal brand? You’ll learn what being in the driver’s seat really means: opportunity and a sharpened tool set, which you’ll learn in the rest of the course. In this module you’ll learn how to map out your future goals and use your personal brand to set yourself apart from the crowd. That might sound overwhelming, but as you’ll learn throughout the course, small actions add up to big changes. The Brand Map is like a GPS for your career and personal brand – it shows you where you are today and how to get to where you’d like to be in the future. Discover your own Enhancers and Detractors – mindsets that are either holding you back or moving you forward – and then choose which ones you want with you on this journey. Finally, Module Two will show you why relevance is so critical to your brand. You’ll learn how to use your personal brand to set yourself apart from the crowd. That might sound overwhelming, but trust me; it really is about the small stuff. That’s a theme you will see throughout the course: small actions have big impact. What Do Others Think About Your Brand? What do people think of when they hear your name? What do they say about you when you leave the room? Learn how to ask for personal feedback and then use what you learn to build your brand. Choosing Your Core. What are the three core brand words that resonate with you? You’ll find out – and find ways to integrate those three powerful words into your world. Where should you focus now so that you can avoid the dreaded neutral zone and missed opportunities? The Establish Stage answers that question. You’ll start out in a strong way, right away. In the Shape & Build stage, you’ll build a strong foundation that will support the future success of your career. 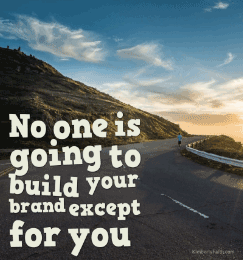 What good is your personal brand if no one knows about it? This is an issue that comes up quite frequently in my executive coaching sessions. In the Work to Expand stage, you’ll learn how to make sure that people know you and your brand. PLUS ENJOY THESE EXTRA GOODIES! Kim’s insight with Breakthru Branding™ was eye opening in the way she approached the topic of women in business. Her ideas were articulated in a way that resonated with listening. Kim is an extremely impressive teacher and presenter. She is personable, warm, accessible yet commanding and knowledgeable. Her command of the topic of systems thinking and how it affects our lives is especially breathtaking and inspiring. “Before working with Kim, I was VERY focused on where I stood within my current company and how OUTSIDE forces were affecting me. Working with Kim made me look beyond my current role and to consider my broader trajectory. “Before I worked with Kim, I was unknowingly spinning in circles. Trying to go in too many different directions. One of the best things I learned from Kim & Breakthru Branding™ is to work through each step to get to the end state. Kim’s personal branding content is absolutely fantastic! This has been one of the best learning sessions that I have had at American Airlines. I will be using what I learned to build my personal brand. "Thank you so much for developing this course! I took a big step this week and applied for jobs out of my comfort zone. I strongly feel that I now have the tools to push my career journey further." "THANK YOU for inspiring me to believe that a new perfect job was possible and I was entirely capable. I just received an offer with a firm I love! You didn't let me make excuses and gave me the confidence to see that it happened." Many corporations have professional development funds set aside to invest in employees and leaders just like you! That’s why I created this swipe file to easily request reimbursement for your access to the course. Purchase the course, download the swipe file and send to your HR representative or Manager. Getting Started with Breakthru Branding is even easier now with my payment plan option. Choose whichever best suits your needs and start your journey today! HOW MUCH TIME WILL THIS PROGRAM TAKE TO GO THROUGH? Less than 15 minutes a day for 21 days if you go straight through the course. Otherwise people take as long as they need. You have lifetime access to the material. There are videos, MP3’s, and transcripts to fit your preferred learning style. This is not about adding pressure - it IS about providing INSPIRATION. This is one of the myths people buy into as their careers advance. They mistake busyness for success. Nothing could be farther from the truth. The MOST successful people I have ever worked with invest energy into staying relevant with their careers just like they would an exercise program or health regimen. Except this time they are focused on their professional health. I am often called in as an executive coach when busyness has unintentionally caused their career to stall and there is a potential crisis looming. You have the chance to get ahead of the curve and make sure it never happens to you. HOW IS THIS DIFFERENT THAN CAREER TIPS I SEE ONLINE? There are a lot of great tips online BUT they only offer one part of the story. Breakthru Branding is the first of its kind to put your entire career into perspective with a blueprint for success. I have poured the experience of having trained or coached over 23,000 people across 19 industries. I have heard their fears - spoken and unspoken. I’ve had countless opportunities to answer questions about career issues that they wish someone told them yearssssssssss ago! I have led them through career changing mindsets and provided ah-ha’s that shifted their perspectives in significant ways. CAN I GET HR TO REIMBURSE ME? Corporations have large budgets for employee training and professional development programs. Many of my live events and executive coaching programs are paid for out of these budgets. I've created a template you can easily use to request reimbursement from HR or your manager for the program. Easy peasy! WILL I SEE IMMEDIATE RESULTS WITH THIS PROGRAM? I have worked with training large corporations for several decades now and if one thing is clear - corporations care about ROI. The principles I teach in those corporate trainings - that deliver ROI and that bring me back year after year to continue to train their employees - is what I've poured into the Breakthru Branding program. But to be clear this isn't a "quick tip" course. While many of the things you learn are easily and quickly applicable, the results are meant for longer term career-shifting course. Your brand is based on who you are as a person. Deep changes can take a time to shift. That being said I have many many clients who - as soon as they're aware of the changes needing to be made - have made them quickly and seen huge results in their careers. CAN I GET A CERTIFICATE OF COMPLETION WITH YOUR COURSE? Yes, absolutely. 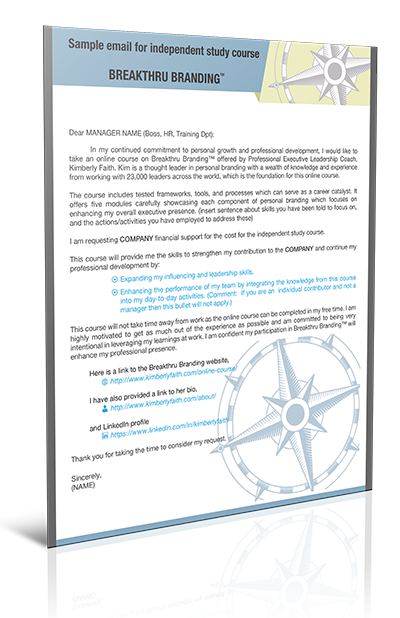 Email support@kimberlyfaith.com when you have completed the course and we will email you the document.